Nature creates problems for living things, but it also offers solutions for those which accept challenges. Migration in animals is an example of endurance and courage. There is only one goal. Life must go on, come what may. The seasonal changes of environment bring about variations in physical conditions such as light and temperature. For example during winter, the day length is reduced. Animals are left with a shorter duration to search for food. Besides, there is a fall in temperature. Cold conditions are lethal to fragile creatures .The answer? Migrate to a place where conditions are favorable. Spend the winter over there, and return home. Migration involves long distance travel and in large numbers. Bad weather such as storms, predators, accidents and fatigue take heavy toll. Thousands perish. Among butterflies, the Monarch is a monumental example. Its migration has fascinated man since ages. The Monarch begins its journey of migration from Canada and Northern parts of America, during late August. Its destination? Oyamel Forests, Central Mexico, some 3100 miles away! Flying in large numbers in a southwesterly direction, the Monarchs move over Great lakes, plains and hills. During the flight, they keep track of their food, the milk weed plants. Their larvae feed on the leaves of this plant, undergo pupation and metamorphosis, and continue the journey. It takes three generations to complete the journey. By about November the Monarchs reach the volcanic plateau and the Oyamel forests of Mexico. As many as 300 million land there to the delight of local inhabitants. 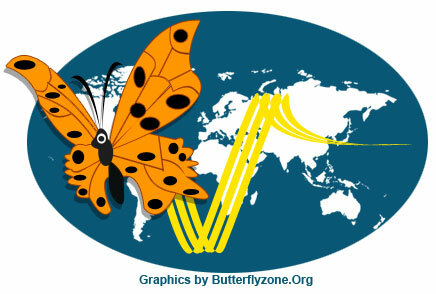 At these destinations, where the temperatures and light conditions are favourable, the Monarchs feed and breed. The return migration begins by the end of February, the following year. The Monarchs reach their homes in Canada and Northern parts of USA by the end of May. It takes three generations again. The life cycle spans three nations between Canada and Mexico, and a total of six generations up and down. Incredible Monarch .